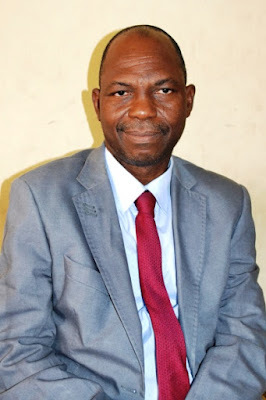 Osun State University, UNIOSUN Governing Council has appointed new Registrar and Bursar for the University. Osun State University Governing Council has approved the appointment of Mr. Gafar Ayodeji Adebayo Shittu as Substantive Registrar and Mr. Abolarinwa Feruke as substantive Bursar of the University respectively on Friday February 9, 2018. Mr. Shittu, is a Deputy Registrar in charge of Personnel Affairs of the University and former Acting Registrar of the University from 22nd January, 2015 to 26th July, 2017, while Mr. Feruke, is a Deputy Bursar at the National Open University of Nigeria (NOUN) Abuja. The new appointees emerged from a keen and rigorous selection process from a pool of applicants, who were shortlisted following a newspaper advertisement on Friday, 3rd November 2017. Mr Shittu graduated from the Obafemi Awolowo University, Ile-Ife in 1988 with B.Sc. (Hons.) in Sociology and Anthropohlogy and proceeded to obtain his Masters Degree in Public Administration (MPA) in 1992 from the same University. He is a member of Nigerian Institute of Management (NIM), Association of Nigerian University Professional Administrators (ANUPA), and Association of Universities Administrators, United Kingdom (AUA, UK). 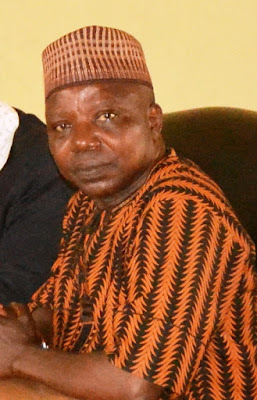 He started his career as an Administrator at the Osun State College of Education, Ila Orangun as an Administrative Officer I in September 1993 and rose through the ranks to become a Deputy Registrar at the institution in October 2006 before joining Uniosun in 2007. Osun State University Governing Council has approved the appointment of Mr. Gafar Ayodeji Adebayo Shittu as Substantive Registrar and Mr. Abolarinwa Feruke as substantive Bursar of the University respectively on Friday February 9, 2018 following the consideration of the Report of the Selection Boards. Mr. Bolarinwa Rotimi Feruke holds M.Sc. Accounting, B.Sc Accounting from University of Lagos, Akoka, Lagos in 2016 and 2010 respectively; Higher National Diploma (HND) in Accounting from Yaba College of Technology, Lagos in 1991 and Ordinary National Diploma (OND) The Polytechnic, Ibadan, Oyo State in 1986. He is a Fellow, Institute of Chartered Accountants of Nigeria (FCA), Chartered Institute of Taxation of Nigeria (FCTI); an Associate, Institute of Institute of Chartered Accountants of Nigeria (ACA), Chartered Institute of Taxation of Nigeria (ACTI) and International Professional Managers Association (CIPM). He holds a Masters in Business Administration (MBA) and Certified Fraud Examiner Certification (CFE). His international certification includes International Professional Managers Association (UK), a Professional Postgraduate Diploma in Management and the Association of Certified Accountants (UK).